For one of my last "free" days of summer, my mom and I ventured off to Long Grove's Historic Downtown area. 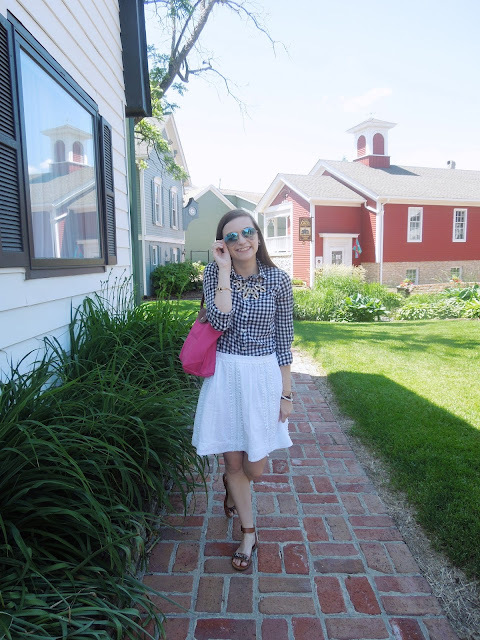 With small cute shops in adorable buildings Long Grove is the definition of quaint. 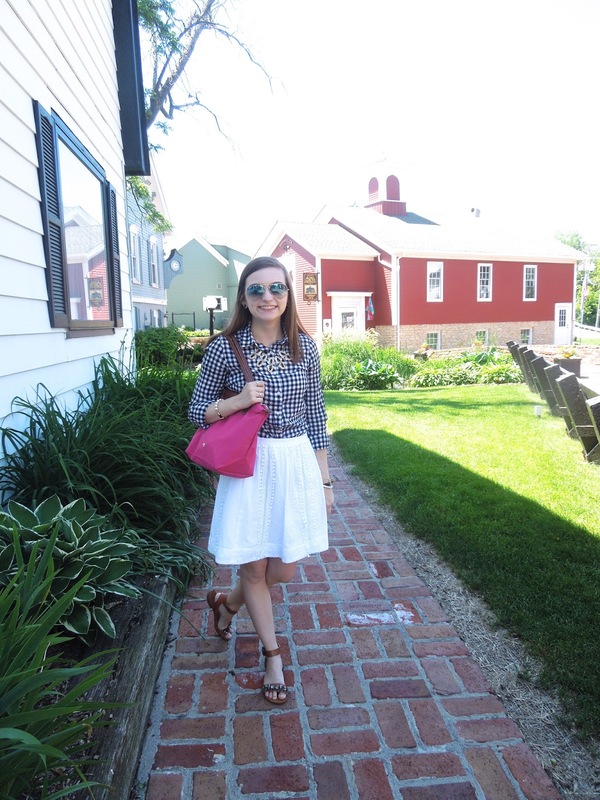 An easy look for shopping and browsing is a breezy skirt and thin button down. I like wearing button downs just in case of cold air conditioning, but this shirt is light enough to wear in the summer. 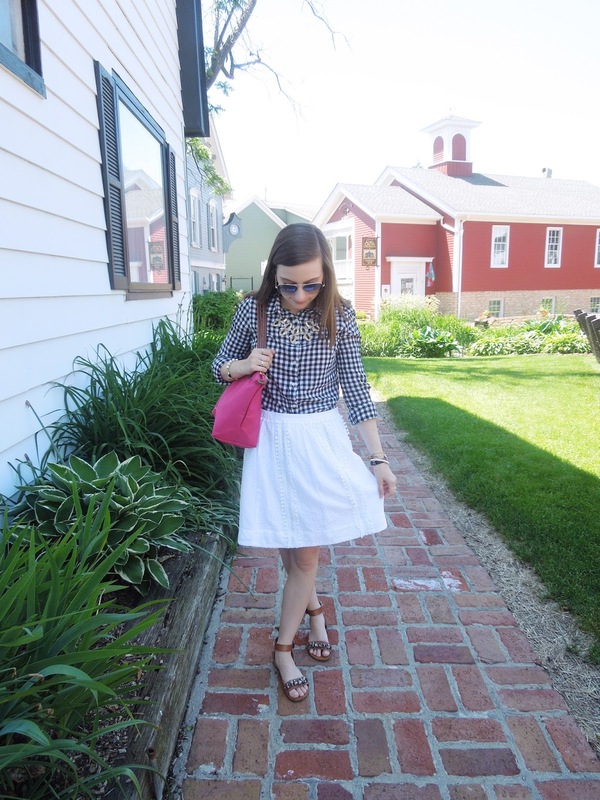 I've been reaching for this skirt non-stop since I saw a similar style back in J Crew's stock. They paired it with a tee, green utility jacket, and sneakers and it looked oh-sew-cute! Ever since I've been creating new looks with my white textured skirt. 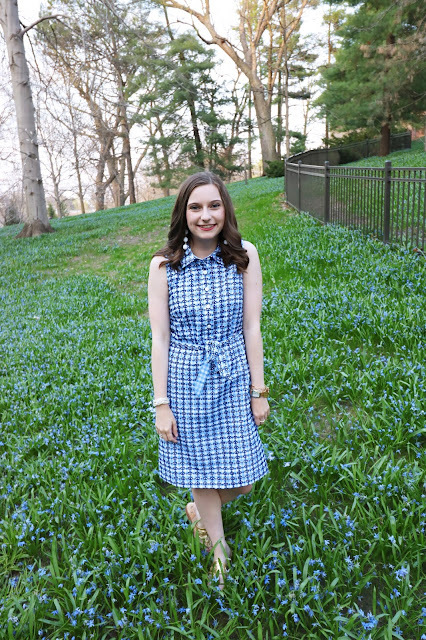 I paired a small gingham print with a white textured detailed skirt. Mixing a solid textured skirt with a small pattern works well because nothing is to overpowering. By pairing the shirt with a statement necklace you can add another dose of texture to the look. I recently picked up this new bright pink Longchamp and I am loving it. 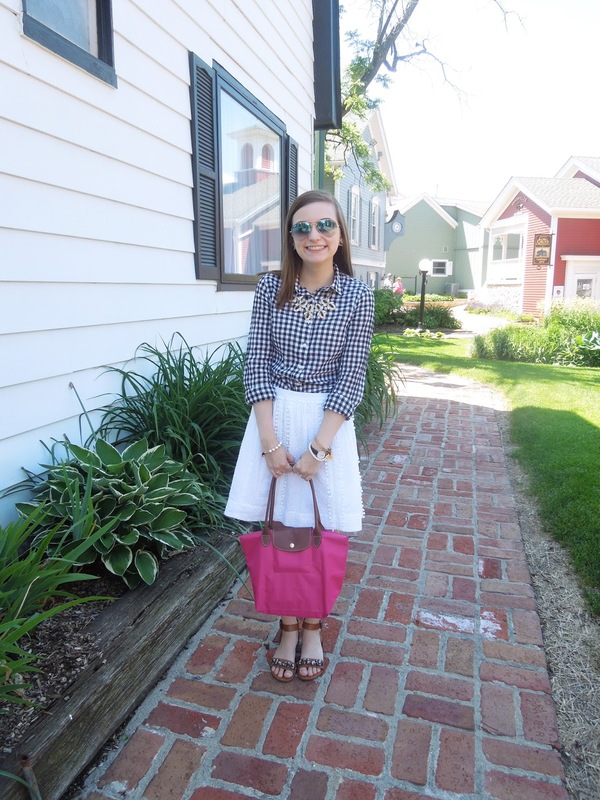 Pink handbags are a new favorite of mine. In my wardrobe pink is practically a neutral! 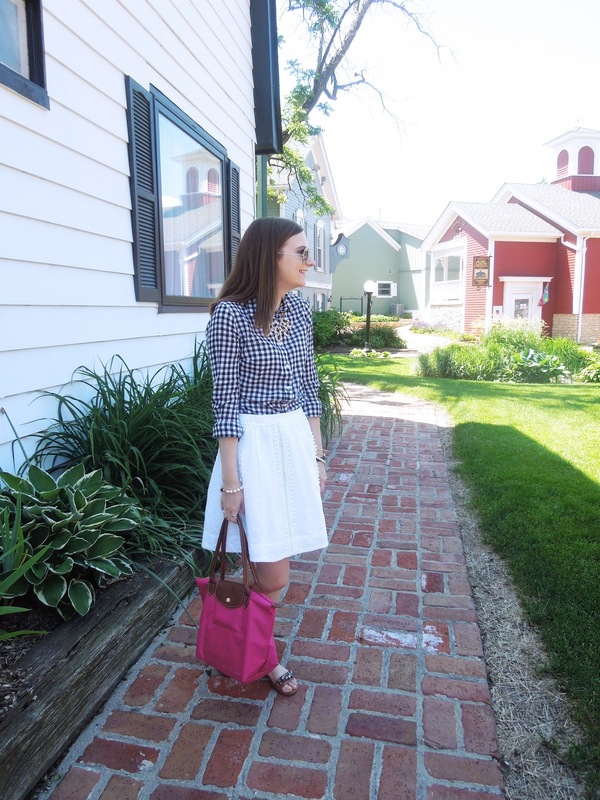 All of my pink bags work great with a ton of looks. What is your favorite way to mix print and texture? Let me know in the comments!